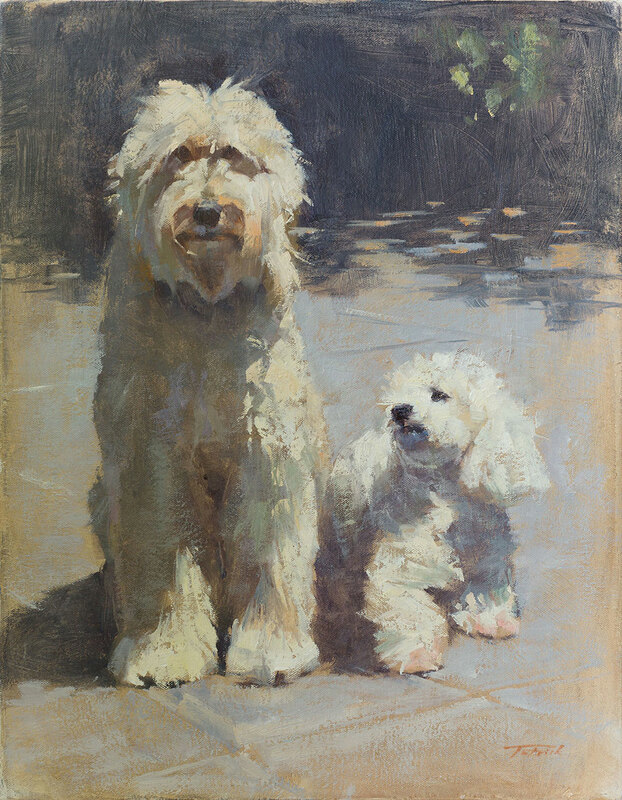 Bentley & Dudley lived at the home we stayed at during the 2016 Plein Air Richmond event. Dudley, the smaller of the two was clearly indifferent towards us, but always followed Bentley's lead. When Bentley would bark at us from a distance, Dudley would head back and join him. Luckily, by the end of our stay, we had convinced Bentley that we were friends.